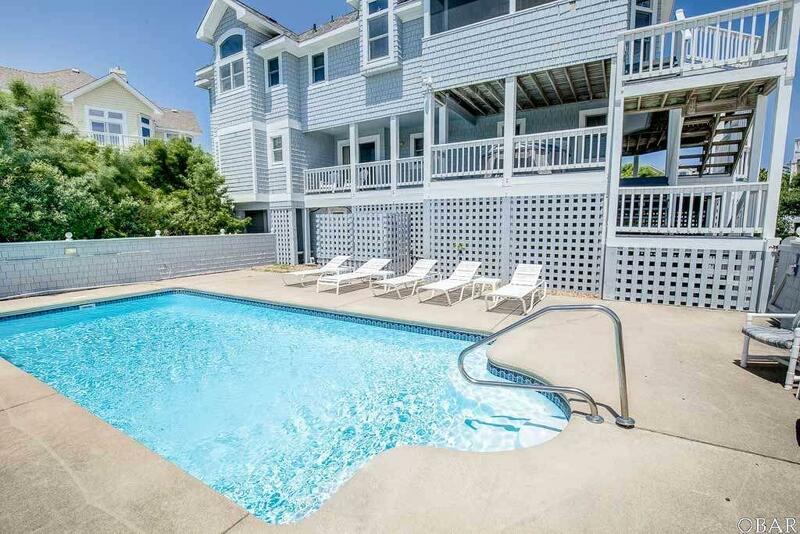 This 5 bedroom, 4.5 bath Pine Island home is located on a quiet cul-de-sac just steps to the ocean and the community amenities, including volleyball,pool, tennis courts and children's playground. Access to the beach is quick and easy with a community boardwalk. The deck space is plenty, to enjoy the gorgeous views. 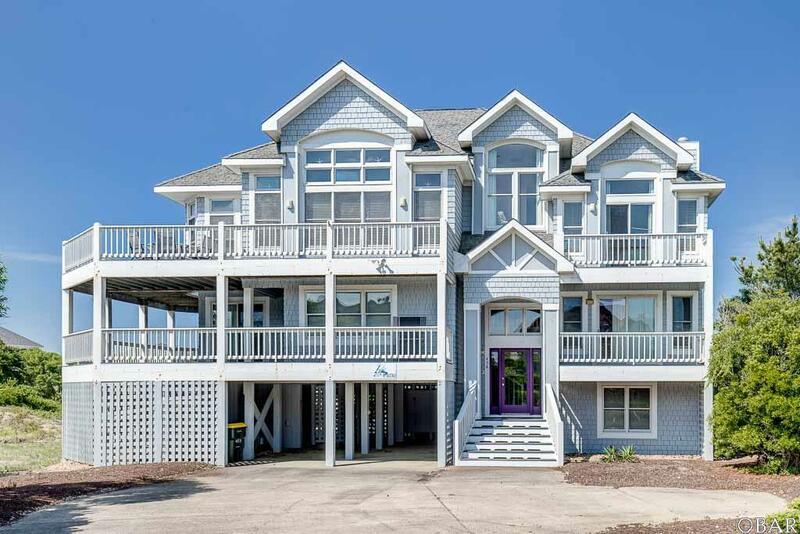 The interior of the home boasts views of the ocean and 3 remodeled bathrooms this year. Family meals can be had with a picturesque background away from the elements, and enjoyed year round. 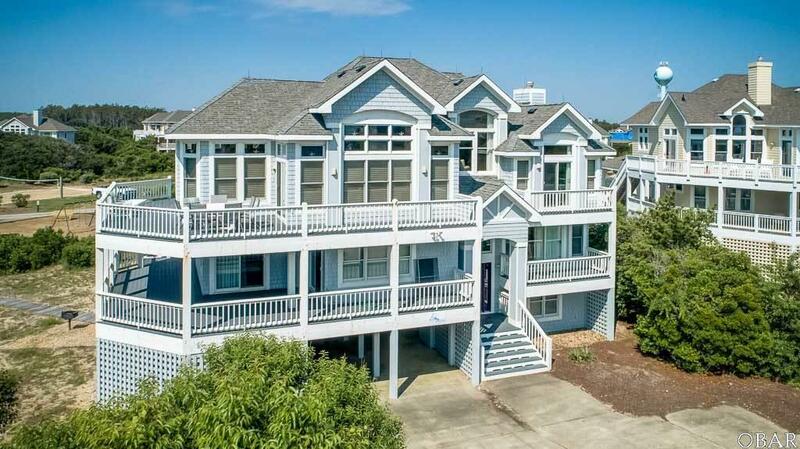 All rooms are very spacious, including the master bedroom on the top floor that has an additional sitting area and a middle floor master with a fireplace. This is a must see. A great house in a great location. Solid Semi-Ocean Front, X Flood Zone and 85k under tax assessment. 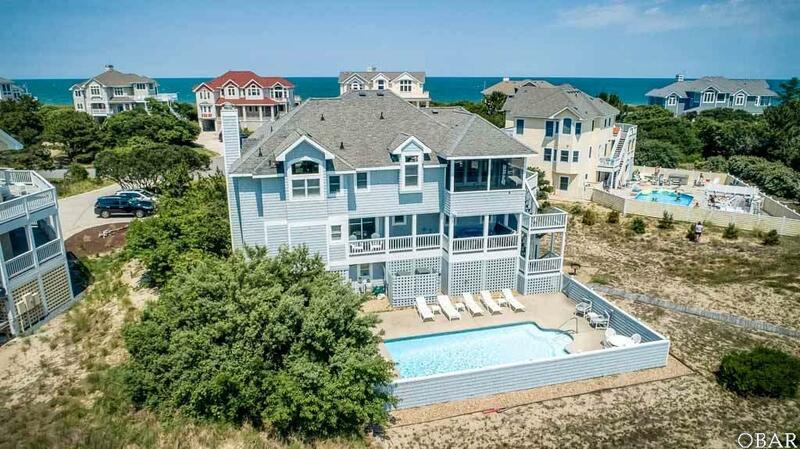 Listing courtesy of Ken Baittinger of Outer Banks Blue Realty Srvcs..